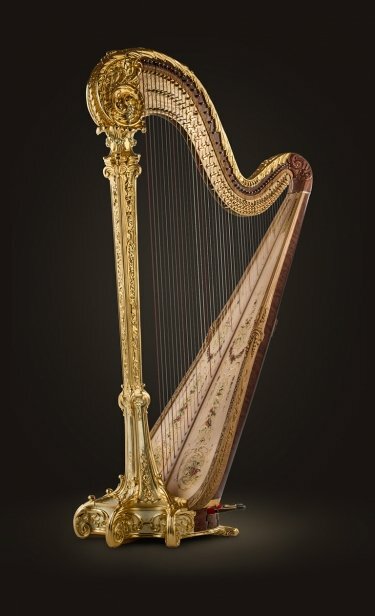 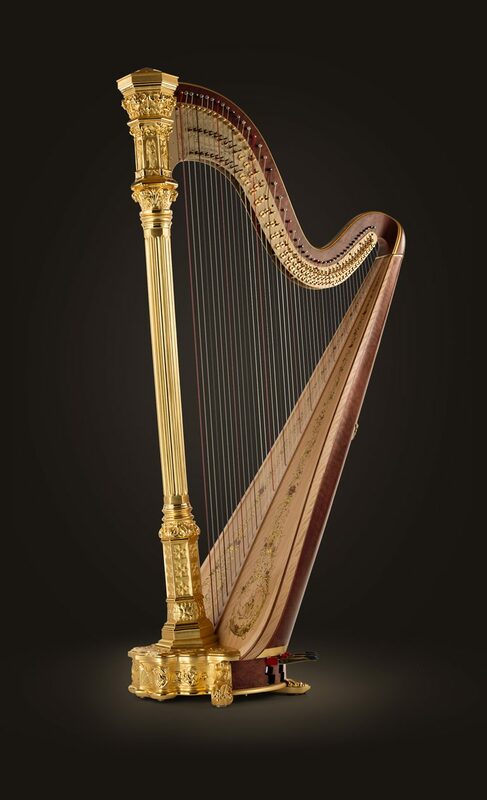 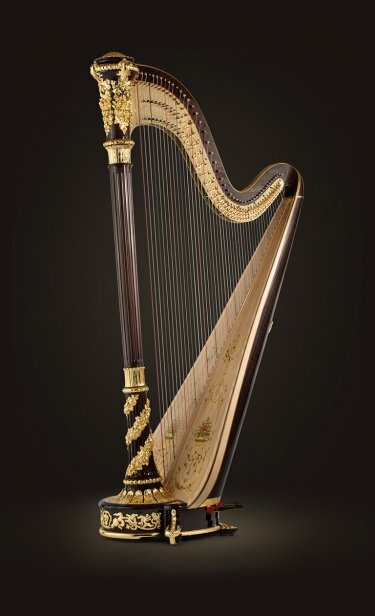 A stately harp designed by Lyon & Healy in the late 1800s, the Style 26 integrates nineteenth century Gothic revival styles with Renaissance detail. 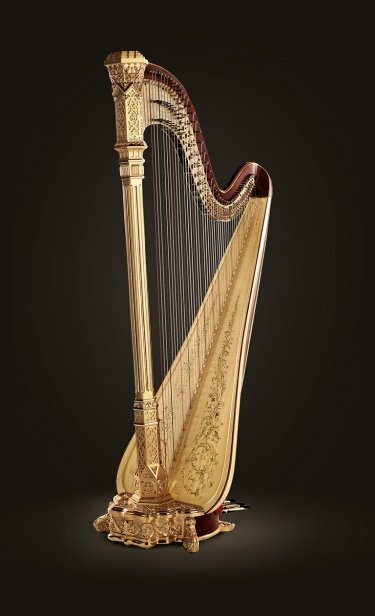 The harp is hand-gilded with 23+ karat gold leaf and burnished to feature the dimension of the relief and the hexagonal column. 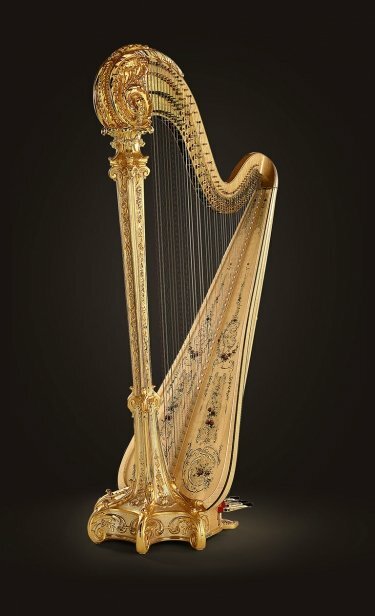 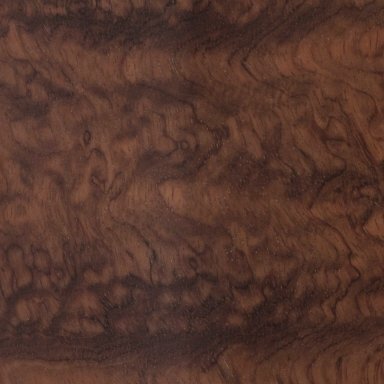 The hand-painted soundboard decoration using 23+ karat gold leaf features intricate brush strokes that climb up the length of the soundboard, interlaced with rose blooms.